Laughing SO hard at Nana Joan this morning! Check out those top 2 teeth that came in last Friday! Last weekend we took a little road trip (3.25 hrs) to go visit some friends and have a girls weekend. 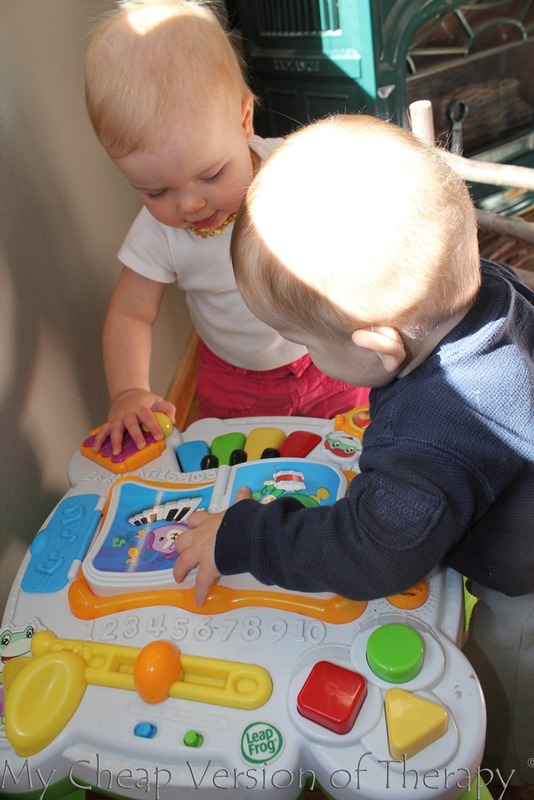 You had such a great time with Aurora – it was fun to watch the two of you interact! She is almost exactly two years older than you. It’s hard for me to believe you’ll be running around like her soon enough! 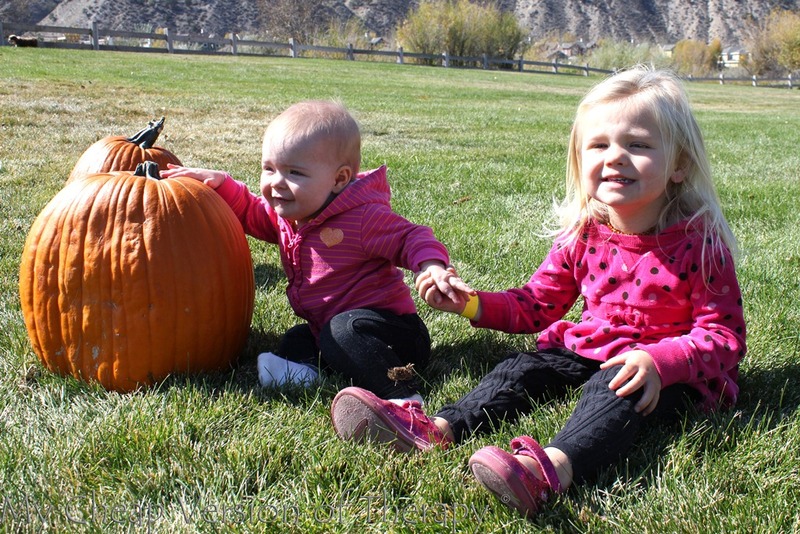 Hanging out at the pumpkin patch with your buddy, Aurora! 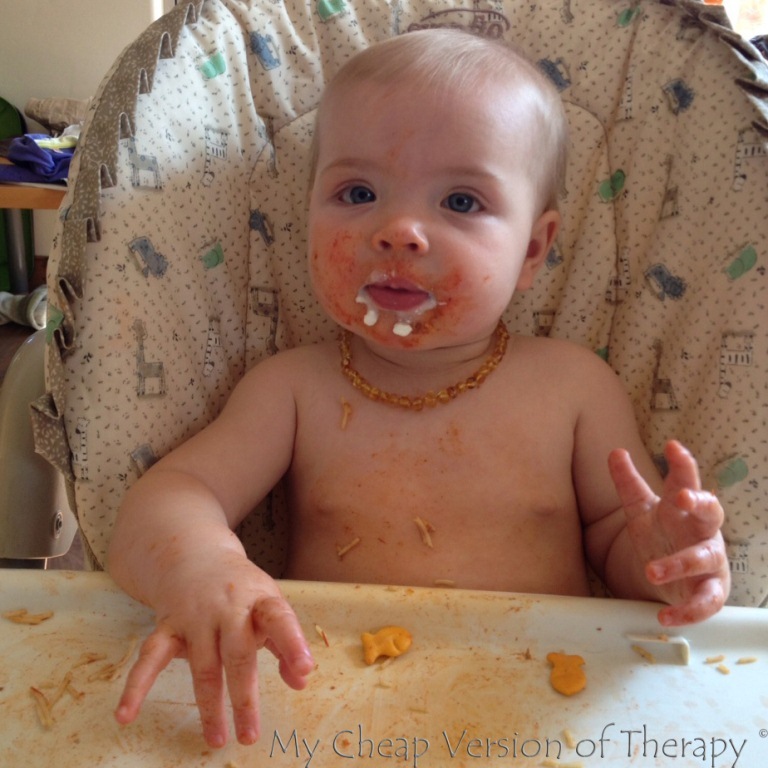 What kid doesn’t like spaghetti?! 🙂 Your daycare lady strips you down to feed you lunch, which cracks me up. We’ve started doing that too! Wednesdays are my day off, so you and I usually spend it hanging out and playing at the house as much as possible. The chair below was built by your Daddy’s friend, Trevor, and you thought it was hysterical when I set you on it. You are getting so grown up! 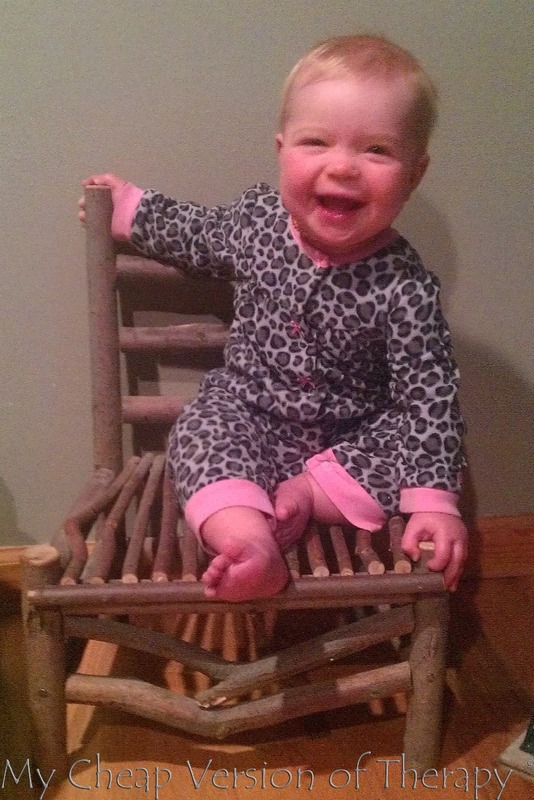 Loving the chair that your Daddy’s friend Trevor built for you! We also had a little play date with your friend Liam, yesterday. He is a few months younger than you, but he is crawling already, so it was hectic taking care of both of you!! Luckily you two have a lot of fun together. Playing some music with your buddy Liam! You light up our lives, little girl. Just seeing her laugh captured just makes anyone want to smile. Two crawling babies I bet they had you beat at the end of the day. Love that spaghetti face! She sure is one happy child. Wow! My first thought was “Stella’s got TEETH!! !” I felt like I had missed some huge milestone. And then you said they just came in on Friday and just wow…that happened fast. I love her expression in her weekly pic. That is one happy baby. And her laughter on the wooden chair is so, so cute and funny. Looks like her moms smile. Aurora is SO stinkin’ cute too! Does her mommy have a blog we can follow her too? 🙂 Her and Stells are darling together! LOL, yeah, she got the bottom two a month or two ago, but the top two just poked through on Friday and Saturday. It changes their expressions so much when it’s not just gums anymore! Aurora’s Mommy is one of my very few IRL friends (our husbands went to high school together and we got married on back to back weekends) who knows about and follows this blog. She also has some IF issues, though she has never blogged about them. Keep her in your thoughts and prayers as they go through a tumultuous journey for #2…. 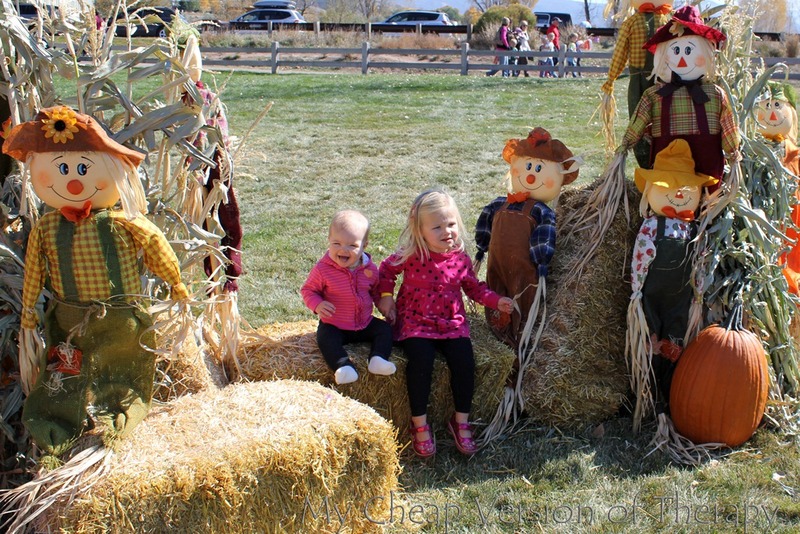 I love all of these pumpkin patch shots! What a great tradition! Love the new teeth! Lexi just got her top two in over the weekend as well! So fun 🙂 The pictures of her laughing are precious – such a happy girl!! that laugh…..and that smile. They just get me every.single.time. Stella is starting to look so grown up! I would not have recognized her in that picture of her in the chair. Holy smokes! She sure enjoys her little friends! I’m impressed by every week that you keep these updates up. What an amazing thing for Stella to have someday! I love her huge grin and her expressive eyes in these pictures! Not gonna lie, I’m excited to get to 52 weeks and stop them, but I already love looking back at them!! Happy babies are the best!!! I love all the pics of her – so photogenic! Amazingly sweet. 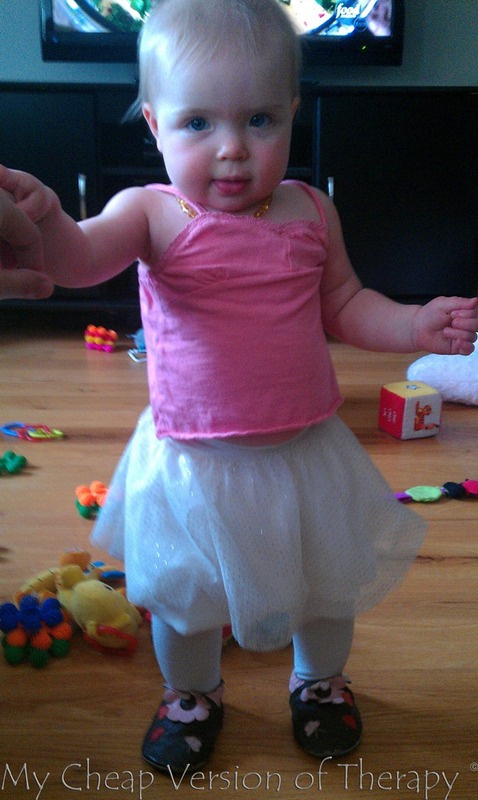 She is growing up so fast! Very cute pics.